Home / News / Royal Enfield Himalayan 2016 TV commercial Video – onset of adventure biking! 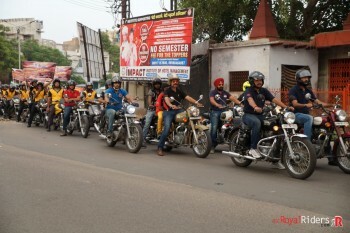 Royal Enfield Himalyan is all in air, the bike was officially launch previously this month. Nowcomes the official TV commercial for the bike. After watching the commercial you will realize that Royal Enfield is just paving way to a new kind of motorcycle adventures in India. 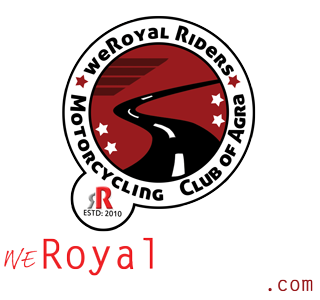 Though the touring on Motorcycle in India is not new and there are many veterans who with their RE bikes (and ofcourse bikes from other manufactures too) have been to various terrains including mountains, deserts, jungles and list goes on. However, it was confined to a certain niche and group of riders. 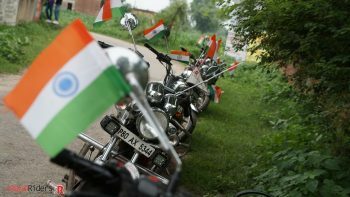 Majority of people still gets surprised when you tell them that you covered few thousands miles in one go with the bike. 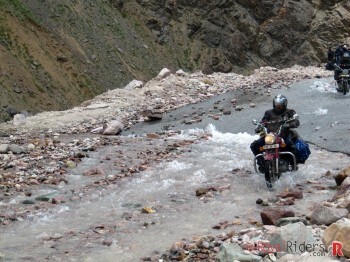 For them, touring on Motorcycling is next to unthinkable. And then here comes this new purpose built Himalayan Motorcycle and its new TVC. 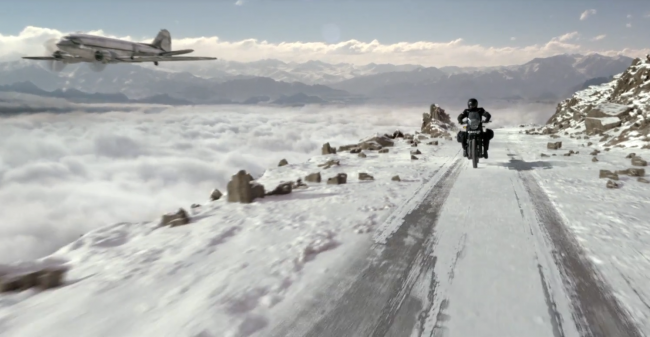 @hat we think is that this TV advertisement from Royal Enfield will bring touring and adventure biking to mainstream. When you are reading this article here on this website, probably you are somehow associated with “Motorcycle Riders” community and hence there is nothing new for you in this apart of a well executed TV commercial. But if this commercial is played regularly on regular television, I am sure this BIKE aka Himalyan will get true image of a “tourer / adventurer bike” among masses. Before going further into commercial, see the commercial below. Hence, as we were discussing, the way TVC has been made, It won’t be long that people will start thinking this bike as “Himalaya wali bike – tour wali nayi bike Royal Enfield ki” which means “The bike for Himalayas , the new bike for touring from Royal Enfield”. Probably that what you will hear from people if you tells them that you have purchased new RE Himalayan. Now coming to the video, here they have nothing like you see in regular Motorbike commercial, they are not even highlighting the bike, rather they are showing a guy going on adventure in Mountains and yes, you see those colorful rectangular prayer flags found on every Ladakh return biker. Journeys are not great or small, they just are.. The only difference.. is what we say back..
With all new 410 cc long stroke engine, 24 bhp and priced aggressively at Rs. 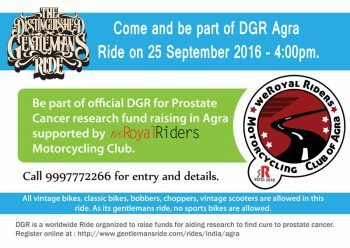 1.55 lakhs (ex-showroom Mumbai), Royal Enfield wants to make sure that every person who wants to go on touring should go on this one.